Cross and Cutlass: Friday's (Saturday's) Mad Mad World! Friday's (Saturday's) Mad Mad World! 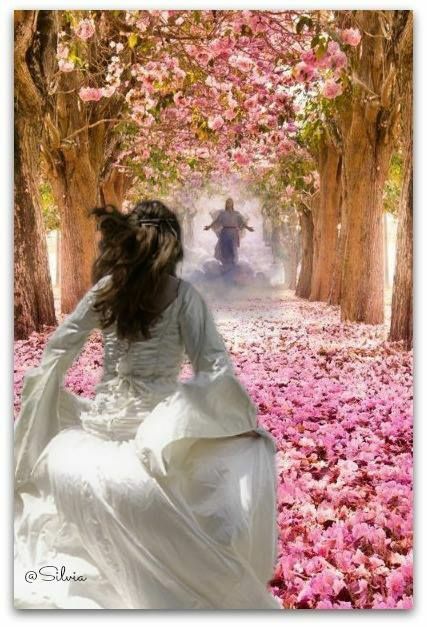 Greetings Warrior Bride of Christ. The above is how I picture myself dashing toward Jesus when I first see Him. You too? (Even if you're a guy, that's okay) I believe this picture will come true sooner than we think! Hence, I don't list all these signs to depress you, but to get you excited about the coming of our King. And also to pray for the Lost and spread the Gospel in any way the Lord leads. Time is short! Have a Blessed Weekend and don't forget to look up and keep your thoughts on heaven! 22 volcanoes actively erupting with 42 with ongoing eruptions! Record breaking heat in Europe.. over 116 in Spain! Six of the most destructive wildfires have struck CA in the past 10 months. Think God is trying to get our attention? Trump Mid-east peace plan preparing to roll out. Crosses removed from Scottish chapels so as not to offend non-believers. huh? Angel shaped cloud seen in the sky!